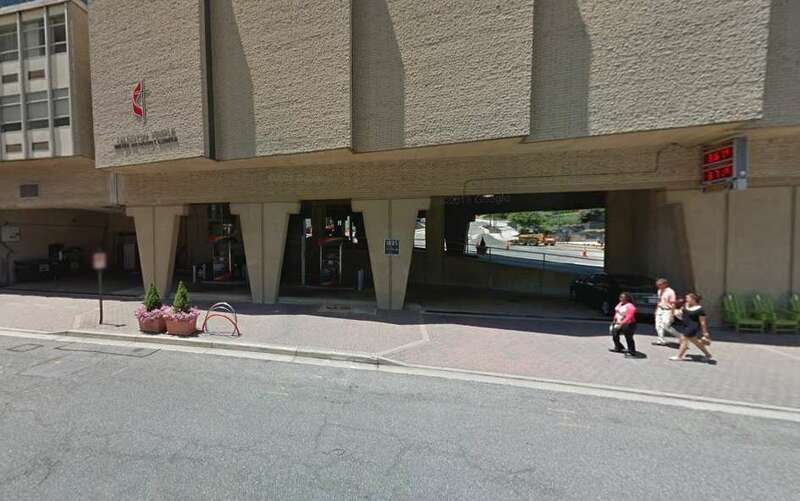 A man with a gun robbed the Sunoco gas station in Rosslyn this morning. The robbery happened just after 11 a.m. at the Sunoco at 1830 Fort Myer Drive, underneath the Arlington Temple United Methodist Church. A man armed with a gun robbed the station, making off with hundreds of dollars in cash, according to initial reports. He was last seen fleeing southbound on N. Nash Street, on foot. The suspect is described as a black male with short black hair, wearing a red shirt and black pants. He is said to be of medium height and medium build. So far, police have been unable to locate the suspect.